serves as a bidirectional gateway between the production control level and the control level. configuration and are connected to the CS275 bus. PROTOS 2.0 Installation on a Teleperm M system in the power plant environment. system and transfers the alarms and messages directly to the PROTOS 2.0 database. automation systems (AS235) has been integrated into the operating system of a Siemens T3000 system. The concept and execution is carried out by Ako-Tec. ordinate SIMOCODE (engine management system) in a large sewage treatment plant. drive unit to a frequency converter based unit. interfaces (OPC / Profibus / H1 bus / MQTT / etc.). (ISA 18.2/EEMUA191) implemented. Part of Industry 4.0 strategy. Commissioning of anLab aplication based on NI-LabView. Delivering of 8 pcs. DataServer-CC licenses to serveral customers for communication between PCS7 and SQL-Databases. Re-documentation of sveral Teleperm AS235 units. The scope of work contains the graphical documentation and the generation of the Cause and Effect diagrams. Teleperm M re-documentation based on AS220/230/235 and OS252/265 systems. The scope of work contains the graphical documentation and the generation of I/O-lists. Delevery and commissioning of several redundant ADC-Bridge_AS systems for the controller/controller communication between Teleperm ME(EAS) and PCS7 AS- units. Successful commissioning of of an PCS7 V8.2 / SIMATIC Batch system in a Lab. The OPC-UA (DA/AC) is also available for the "DataServer" family. The new version of PROTOS 2.0 supports Maria-DB. The new version of "ADC-Bridge_AS", Controller/Controller communication between Teleperm M/ME and PCS7 is available. The upgrade of the interface contains an new redundancy switchover, performance optimizing features an an optimized easy handling. Start of the the PCS7 upgrade project in a chemical Lab. Content of the project is to upgrade the PCS7 sytem from V6.x to V8.2. Ako-Tec provides the customer wilth all engineering work, also for Simatic- BATCH, and deliver all PCS7 hard- and software. Implementation of a central remote maintenance access (VPN) for Simatic -S5/-S7 PLC based on the Siemens "SINEMA REMOTE CONNECT" system. This system permits an user-controlled access to the PLC's in compliance with the IT- security policies of the company. Implementation of the new Alarm Management System "PROTOS 2.0" in a chemical industry plant. With PROTOS 2.0 the customer is able to store and analyze alarms and messages from Teleperm M and PCS7. To collect data from PCS7 the new DataServer-CC is implemented. use an direct access to the PCS7 database. 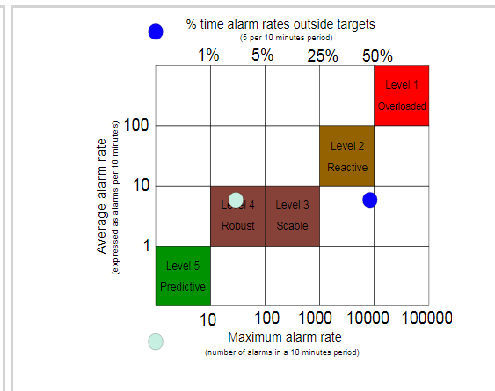 The DataServer-CC can provide values and alarms. Programming and commissioning of fail-safe applications with an S7 F controller and S7 Distributed Safety for a customer of the automotive supplier industry. PROTOS 2.0 System installation at a customer in the chemical industry. Plant-wide installation of PD-MI system with connection to PCS7 systems with SIMATIC BATCH in the chemical industry. Support the daily business in the area of operational plant support with Teleperm M, S5, S7 and PCS7 at a food manufacturer. Operational management and system optimization with PCS7 and TIA Portal in an industrial power plant. Development of S7 function blocs for cycle-accurate recording of messages and signal states, and an application for the evaluation completed. With the tool, the signal states can be analyzed prior to the occurrence of the error in case of error. The evaluation tool offers various search and analysis capabilities. New version of PROTOS 2.0 available. Expansion of parsing functionality and expansion of Web frontend features. Additional statistics and analysis based on ISA 18.2. Successful certification by DEKRA in accordance with ISO9001:2008. Software engineering Simatic -S7 in the field of production automation at an automotive supplier. Create sequence controls (LAD/STL) for -S7 300 controllers. Modernization of safety equipment (swing, speed measurement) of centrifuges at a food manufacturer. PROTOS System for petrochemicals. Delivery of a PROTOS System for collection and analysis of alarms at a global acting petrochemical company. Automation of a machine for the production of blades with Simatic S7-1200 controller. Drives and dezentralized peripheral were connected via ProfiNET to the CPU. Development of a PCS7 function bloc library with faceplates for the manufacturer of a remote I/O system used in hazarous areas. Enhanced driver for DCTM (DeltaV Connect Teleperm M) on behalf of Emerson. driver, making the configuration effort in the gateway (ADC-Bridge TM) is eliminated and all System diagnostics are available in the DeltaV system. With ProtWeb 2.0 a new alarm and message management analysis system has been developed, which also has a web front ends next to the hit list generation. There are first parser for PCS7 and Teleperm available. With the purchase of a new modern diagnostic tool for Profibus-DP / PA now enhanced analysis capabilities are available. In conjunction with the experience of our staff following analysis for documentation or troubleshooting / error analysis can be performed. Delivery of 4 Bridge systems for data coupling between Teleperm ME and WinCC OA of 2 blocks of a nuclear power plant. Successful ISO9001: 2008 audit by DEKRA. Ako-Tec has joined the NAMUR. NAMUR is an international user association for automation in the process industry. Successful Final Acceptance (FAT) of the ADC-Bridge Systems for an oil rig in the North Sea. Visualization of several wheatmills for a mill with Simatic TIA Portal. Migration of Teleperm M to Emerson DeltaV. Teleperm migration to DeltaV at Wacker Chemie. Delivery of 3 redundant Bridge Systems for data link (Controller / Controller) between DeltaV and Teleperm. Analysis of the technology stock (approximately 17,000 I / O) by backdocumentation with the RDTB (ReDocumentationToolBox). The new version of the recorder for the process data information system supports Windows 7 now in connection with Siemens N-PCI Cards. Control modernization of Simatic –S5 to –S7 and establishing a connection to PCS7 in the food industry. The program structure of the new controls have been created according to the current custom rules. The new version of the recorder for the process data information system supports communication with 27 OPC servers. Software Engineering for Siemens systems Teleperm ME / GT104 / Simatic -S7 in the migration to ABB control system in a power plant. Consulting Services / Technical Supports for a production line for the production of active suspension systems. Modernization of red. ADC-Bridge-TM with OPC-Server-DA/AE systems (hardware and software upgrade) in a chemical plant. Implementation of process optimization with PCS7 V8.0 in a process plant.
! ADC-Bridge and Siemens N-PCI card runs under Windows 7 now ! Creating a concept (PokaYoke) for the production of high-quality plastics, including a concept for the automatic recipe execution. 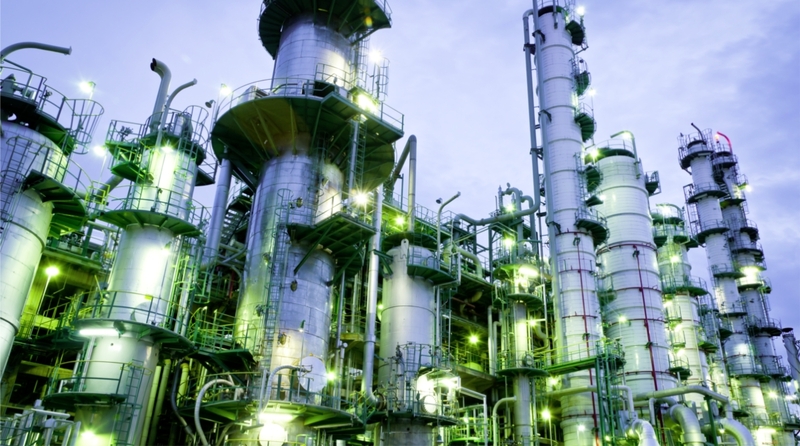 Implementation of an energy management system at the Procter & Gamble plant in Cologne. The energy management system based on Siemens Simatic -S7 and WinCC. Successful completion of the project "as-built" documentation of control systems (automation level) of a waste to energy plant. More information available on request. Contract to supply the ADC-Bridge-TM including OPC server for data coupling between T3000 and Teleperm M AS235 controls. Electrical modernization of a test bed (flow control) with Siemens Simatic -S7 control including web access. Migration of existing Teleperm OS / AS systems during operation to PCS7. The goal of minimizing downtime could be achieved. The RDTB OS for documenting Teleperm OS252/OS262/OS265 is now available as a software license. By multiple customer wish the RDTB-OS has been developed into a stand-alone tool. 25 years AKO-TEC "25 years of innovation and expertise"
The AKO-TEC AG celebrates 2011, the 25-year anniversary. The anniversary will be celebrated with customers, partners and employees. With this order a concept for capacity optimization elaborated by Ako-Tec is implemented. Successful completion of the RDTB-AS for the "as-built" documentation of Teleperm M/ME. In addition to the RDTB-OS the completion of the module AS documentation can now be reported. Start of the project to migrate a MadamS system by 800xA (ABB) via ADC-Bridge-TM OPC-Server-DA/AE in a power plant in NL. Delivery of products (ADC-Bridge-TM OPC-Server-DA/AE) and services for the exchange of MadamS system in a Dutch power plant. Supply of an additional ADC-Bridge-TM system to replace a Teleperm OS in Switzerland. Creating a fully automatic "as-built“ backdocumentation in combined graph-/list form with a breakdown of all image content and function and their data link. Order for the "as-built" documentation of the management system (automation level) of a waste incinerator in VBG R170C compliant presentation. With the database-based RDTB developed by Ako-Tec controller and module (structurable) programs can import and automatically draw in FBD representation. In addition, system-neutral FBD's can be created and linked to other documents (wiring diagrams, P & ID, etc.). Another site of "ExxonMobil Production Germany GmbH" is equipped with PROTOS as message printer replacement system. Change of the quality management system to the standard requirement in accordance with DIN EN ISO 9001:2008. Strategic partnership for development of additional markets for our products. The previous local printer replacement system was replaced by PROTOS. On the PROTOS database can be accessed via the network from any workstation. Completion of the database based solution for documentation of the "as built" system object and transfer the generated return Documentation results to the customer. The graphical representation of the results is automatically generated in Microsoft Visio documents. For more information please contact us at any time at 02251/650 30-0 available.